Member of the Corporate / Públic Law and Natural Resources Group. 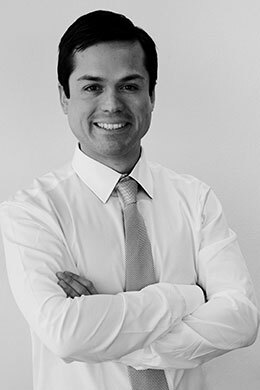 His practice is focuses in mergers and acquisitions, real estate and general practice in corporate and comercial matters. Furthermore, his practice is focused in environmental law, and advises clients in their defense before ordinary and special courts in administrative matters. Prior to joining SCHULTZ CARRASCO, he served from 2013 to 2015 in the corporate and banking area of De las Heras y Cia. Abogados, Viña del Mar, Chile. Graduated from Pontificia Universidad Católica de Valparaíso in 2014.